This is Cree's newest line of multi-die high-output LEDs, mounted on a direct-thermal-path (DTP) copper MCPCB. The XHP70 is (4) XM-L2 dies in a compact package. 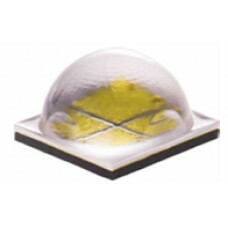 If this option is selected, the LED dome will be sliced until it is very thin, then polished if needed. A sliced dome provides a tighter, more intense hotspot for increased throw. The LED's tint will usually shift slightly warmer than it was with the full dome in place. Selecting this option will add 3-5 business days processing time to your entire order.